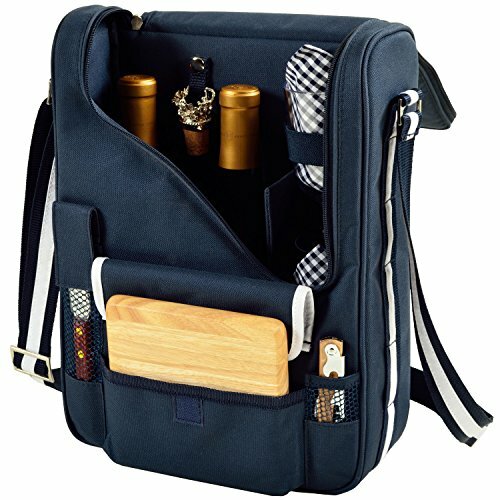 This Picnic Time Turismo insulated backpack was designed for people on the go and features durable polyester construction with non-slip, extra-comfy backpack straps. The Turismo has two large insulated interior compartments, a multi-use mesh pocket with reinforced base and drawstring closure, a large utility clip, a zippered pocket hidden under the exterior flap as extra security for your most valuable items, an a padded handle grip. The removable, insulated duffel will house your favorite H20 bottle and has an adjustable shoulder strap. 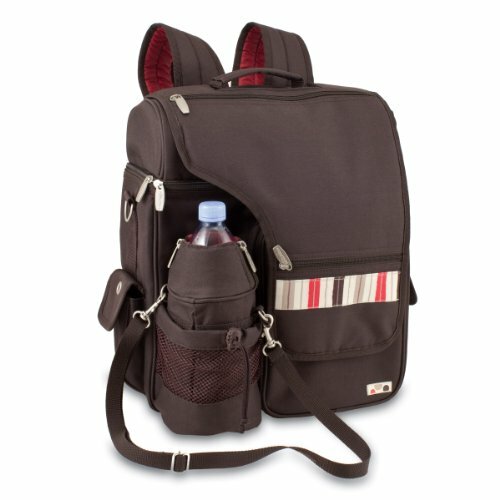 Great for sightseeing, field trips, picnics, hiking, biking, carrying school books and lunches, trips the beach or the mountains, this Turismo is a perfect multi-tasker.